There are numerous savings schemes available to investors in India, but the two most popular schemes offered by the Indian Government are National Savings Scheme (NSS) and National Savings Certificate (NSC). Savings Schemes are launched in India either by the government, banks, or public sector financial institutions. Depending on the savings scheme, the interest rates and tax benefits may vary. The main aim of a savings scheme is to provide financial security in case of medical or personal emergencies. Investing in savings schemes can also provide one with an additional source of income later on. Individuals can invest in savings schemes to fund their education, their children's education, or even weddings. Savings schemes are supported by the government, which makes them a very safe and secure form of investment. Most savings schemes also provide a high rate of interest and the interest rates are revised every 3-6 months. Readily Available- The Indian government, through both the public and private sector banking system, offers a multitude of saving schemes that are easy to enroll with and are perfectly suited for the strategic as well as casual investor. Their simplicity and abundance makes them a much preferred savings option. Long Term Planning- Quite opposite to the run and burn concept, long term savings are focused on a time in the future when abundant monies will be required to comply with an expected requirement. Retirement, marriage of a son/daughter, long awaited foreign trip, etc. demand strategic, long term financial planning. Wide Ranges of Products- In India, saving schemes include a plethora of different products that are intended for a wide segment of potential customers. From the Public Provident Fund (employed- retirement fund) and Employee Provident Fund to Kisan Vikas Patra (Agriculturists) and Sukanya Samriddhi Yojana (exclusively for the girl child), the choices are many and super specialized. 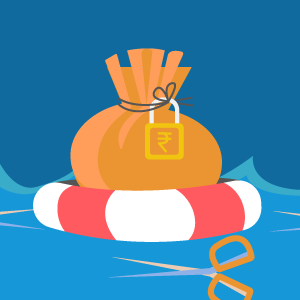 Simple to Enroll- Limited documentation, clearly defined procedures and the Indian Government’s backing ensures that these saving schemes are simple to opt for and safe to be locked onto. 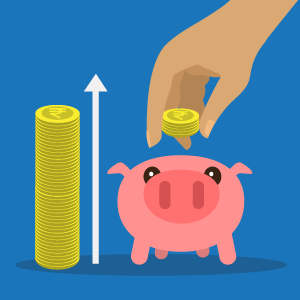 There has been an increase in the interest rates of a significant number of small savings schemes in Q3 2018. The government has linked the rates of these schemes to the yields of government papers that had similar maturity in 2016 when it announced the interest rate quarterly settings. The increase in the interest rates of government bonds recently has triggered the hike in small savings schemes interest rates. In spite of the hike in interest rates, investors should be careful when putting money into these schemes. The Senior Citizen Savings Scheme (SCSS) investments can only be done by senior citizens with an investment cap of Rs.15 lakh. The maximum investment allowed in the Sukanya Samriddhi Yojana (SSY) is Rs.1.5 lakh per annum. Other small savings products of recurring deposits and time deposits will incur taxes, and hence, yield smaller returns. It is advisable to invest in these schemes only after 1 October in order to get higher returns. No maximum limit for investment with 0% tax deduction at source. Impressive interest rate at 8.50% (NSC-VIII issue) and 8.80% (NSC-IX issue). Tax savings per 80C of Income Tax Act for investments in excess of Rs.1,00,000 per annum. Very attractive returns, a nominal investment of Rs.100 will yield Rs.234.35 in 10 years. These certificates can be transferred from person to another once through the lifetime of the certificate. The tenure of an NSC portfolio is 5 and 10 years for the NSC VIII Issue and NSC IX Issue respectively. The interest accumulated annually is reinvested in line with the provisions of Section 80C of IT Act. Interest compounded on a half-yearly basis. Can be used as collateral when applying for a bank loan. Income tax exemption on principal amount as well as earned interest upto Rs.9,000. Cannot be pledged as security when applying for any bank loan. Impressive interest rate of 9% per annum. The tenure of an NSS portfolio is four years. A potent financial instrument that is tuned at savings in general and tax savings in particular, the PPF concept was floated by the National Savings Institute, Finance Ministry of India, in 1968. The PPF scheme offers a plethora of features and benefits that make it a popular option in its class. Interest rate of 8.70% p.a is compounded annually. Minimum yearly investment of just Rs.500 to a maximum of Rs.1,50,000. The maturity period of a PPF account is 15 years. However, this can be extended for upto 5 additional years. A maximum of 12 deposits can be made in a financial year. Lump sum payments are also an option. Joint accounts aren’t possible, plus, PPF accounts cannot be closed before the maturity period. PPF accounts can be moved from one bank/post-office to another. Accumulated interest is completely tax free. PPF accounts save tax under Sec. 80C of the IT Act. Applicant can avail loan with the PPF account as collateral from the 3rd financial year. Interest rate of 9.3% p.a, payable on any of the following dates in year- 31st March, 30th June, 30th Sept and 31st December. The tenure of a SCSS portfolio is 5 years. The applicant can make only one deposit into the account. This amount should be in multiples of Rs.1,000 and must not exceed a maximum of Rs.15 lakhs. The account can be transferred from one post office/bank to another. The SCSS account can be closed prematurely, provided the applicant shells out 1.5% of the deposit amount in the first year and 1.0% of the deposit amount in the second year. Post the maturity of the account, the tenure can be extended for a further 3 years. After completing 1 year of this extension period, the account can be prematurely closed without any deductions. TDS is deducted at source on the accumulated interest if the latter exceeds Rs.10,000 p.a. SCSS accounts save tax as per the Section 80C of the Income Tax Act, 1961. The grand USP- Money invested by the applicant doubles in 100 months (8 years, 4 months). KVPs are available in the following denominations- Rs.1000, Rs.5000, Rs.10,000 and Rs.50,000. The minimum purchase value for the KVP is Rs.1000. There is no maximum limit. KVPs are available at all departmental post offices across India. These certificates can be prematurely encashed after 2 ½ years from the point of issue. KVPs can be transferred from one individual to another and from one post office to another. Attractive interest rate at 9.2% p.a. This is in fact one of the highest rates of interest in its class. Account can be opened at any departmental post office or authorized banks in India. The opening amount for the SSY account is Rs.1000. Thereafter, deposits can be made in multiples of Rs.100. The minimum deposit into the account must amount to Rs.1000, the maximum limit is Rs.1,50,000 per year. The SSY account attains maturity in 21 years from the date of issue. However, the account holder is expected to pay into the account for a total duration of 14 years. A SSY account can be transferred from one post office/bank to another, anywhere in India. Citizens of India between the age groups of 18-40 years can apply. The applicant is expected to regularly pay premiums for a minimum duration of 20 years. Since most individuals step into the pension years at the age of 60- the upper limit for application is set at 40 years. The applicant must have an active savings bank account. The applicant must not have subscribed to any other statutory social security schemes. Actual pension amount depends on the tenure of premium payment. The higher number of premiums paid, the higher will be the payable pension amount. Administered by the Employees' Provident Fund Organization (EPFO), the Employee Provident Fund (EPF) targets Indian workers through a system of compulsory monetary contribution into a specified ‘provident fund’ account that will act at a later date as their retirement fund, or could also be treated as emergency funds for unforeseen or planned financial requirements. In essence, the employer and employee each contribute 12% of the latter’s salary amount into this provident fund account on a monthly basis. EPF is one of the shining success stories when it comes to government sponsored saving schemes in India with massive popularity and vast implementation. The interest rate applicable on the amount accumulated in the EPF account is decided by the government and has traditionally ranged between 8-12% of the funds maintained in the account. The interest is credited to the concerned account on the 1st April each year. The EPFO office sends annual reports through the employer that the concerned employee can use to get clear bearings on the amount accumulated in his/her account. Also, EPF related information can be sourced from the EPFO’s official website. The retirement years are always fraught with great change and slowing down of the usual pace of life. This is the time when sources of income may be limited due to the individual’s advancing age and/or the unavailability of income options that suit said individual’s capabilities. The National Pension System aims to negate such scenarios- offering retired individuals the security of a regular income (pension) thanks to small investments made to this pension fund while they were gainfully employed. The subscriber enjoys the lump sum amount, broken down through an annuity plan, and served on a monthly basis as the regular income. The NPS scheme is available to employees of state and central government organizations, employees of corporate and MNC entities, individuals as well as workers from the various unorganized sectors. The contribution to the NPS account, when speaking of employees from the central/state government organizations, is 10% deduction from said employee’s monthly salary appended with an equal contribution from the government. In other cases, the applicant must treat the NPS as any other long term savings instrument and action the requisite, timely investments. Naturally, the National Pension System is one of the enduring favorites when it comes to long term saving schemes in India. The term ‘voluntary’ signifies willingly or doing something when guided by their own free will. The concept of Voluntary Provident Fund (VPF) draws on this, wherein the subscriber willingly contributes upto 100% of their basic salary and dearness allowance into their respective Employee Provident Fund (EPF), instead of the usual 12%. The reservoir for such funds is the concerned employee’s EPF account, meaning, any activity concerning the employee’s VPF will impact the EPF portfolio too, and vice versa. For the financial year 2014-15, the VPF account doles out an interest rate of 8.75% on the accumulated funds. This scheme is particularly targeted to benefit retiring public sector employees. A simple savings scheme that draws on its ease of registration, documentation and terms to draw a massive following. An account of this nature can be opened with a locally payable cheque, DD, etc, alongside a certificate from the employer that indicates the nature of retirement benefits that are applicable to the prospective applicant. The interest accrued will be paid from the date of deposit to 30th June/31st December of said year, followed by half-yearly payments as of 30th June or 31st December. The depositor cannot make any withdrawals during the first year of the account’s existence- the same can be accomplished anytime after completing the first year from the point of account creation. 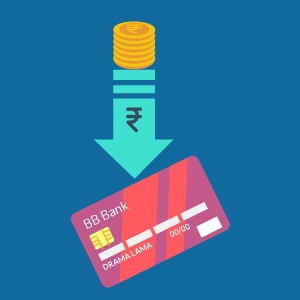 The leading online banking products aggregator, BankBazaar.com, is also an inexhaustible reservoir of information when it comes to the various saving schemes currently circulating in India. The information pertains to products that are targeted at both public and private sector employees, those who are employed as well as retired, from the popular evergreen products to the lesser known impact options. bankbazaar.com draws in from its years of experience as an online informational behemoth when it comes to banking products and offers comprehensive information that is accurate, up-to-date and inclusive of almost all the major and minor players competing in this niche segment. On 19 September 2018, the Finance Ministry announced new interest rates for small savings schemes. From 01 October 2018, interest rates for the third quarter of October 1 to December 31 has been hiked by 40 basis points (bps). The schemes which will undergo this revision in interest rates are the National Savings Certificate (NSC), Public Provident Fund (PPF), post office time deposits, and Sukanya Samriddhi Yojana (SSY). The hike for one, two, and three-year term deposits is 30 bps. After the hike, interest rates will be 8% hike for NSC and PPF, 8.5% for the Sukanya Samriddhi Scheme, and 8.7% for the Senior Citizens Savings Scheme. There will be a hike from 7.3% to 7.7% for the Kisan Vikas Patra scheme which will now mature or be doubled in 112 months instead of 118 months. The interest rates of a number of small savings schemes have been increased for Q3 of FY 2018-19. The schemes which will see an increase in interest rates include National Savings Certificate, Sukanya Samriddhi Yojana, and Public Provident Fund. Even post office time deposits will see an increase in interest rates. Investors in fixed income instruments will find this as a welcome relief considering the fact that rates have been unchanged for the first two quarters of the financial year. Moreover, the interest rates applicable to these schemes were lowered by the government in the quarter between January and March 2018. The Finance Ministry issue a circular on the 19th of September, according to which, the rates of a number of savings schemes were increased by 30 to 40 basis points. The Economic Times recently published a report according to which the government is aiming to finalize a social security measure that is worth about 10 crore employees, which accounts for about 22% of India’s workforce. The scheme will not cover only industrial workers. Even workers in sectors such as agriculture will be covered under the plan. The National Pension Scheme has a little more than one crore people who have subscribed to it, and according to CRISIL, around 3.6 crore more people have subscribed to other pension plans like EPFO. If news regarding the new social security scheme is true, then it will be a great move for the entire country as a whole as there will be a larger number of people who have some sort of security. According to an official report, the government has decided to keep the interest rates of small savings schemes the same as the previous quarter. Despite the 25 point increase in the repo rate, the government has retained the interest rate for the July-September quarter for the current fiscal year. The January-March 2017-2018 quarter was the last time a change was made to the interest rate, where the interest rate was reduced by 20 basis points for PPF, Sukanya Samriddhi Scheme and Kisan Vikas Patra. The trend of declining interest rates has been observed over the last two years for most savings schemes. The decline has been largely due to the falling interest rate environment. However, a reversal in the cycle had led to anticipation of an increase in interest rates as well. Every year the interest rates of the small saving schemes including NSC, PPF etc. are decided by the government on the basis of the benchmark 10-year bond yield. But this year, even though the bond yields have raised to historical levels of more than 8%, the rates have been kept unchanged by the centre for the July-September quarter. According to the recent release by the Finance Ministry, the interest rates on various small savings schemes for the second quarter of FY18-19 starting from 1 July 2018, and ending on 30 September 2018 will remain the same from those which are notified for the first quarter of 18-19. As a matter of fact, currently, the bond yield is increasing due to the, depreciation of rupee, inflation, increase in the prices of crude oil, and several other minor economic issues. Fixed income earners had high hopes towards small savings schemes (SSS) like PPF and NSC. The Government recently dashed these hopes by keeping the interest rates of schemes like NSC and PPF same as the previous quarter. Because interest rates of the economy have undergone a major hike, investors were expecting the rates for SSS also to go up. Amongst fixed income earners, small savings schemes such as NCS and PPF have gained immense popularity. The reason why investors anticipated a hike in the interest rates is because the Government has benchmarked these small savings schemes to the Government bonds yields with the same maturity. The Finance Ministry is likely to change the beneficiary ownership rules for small savings schemes. The changes would apply to all the government-run savings schemes. The proposed change, if implemented, would require subscribers to fill out an extra form to give a detailed account of the nominee to their account. The rule is likely to come into effect by September 2018 at the very latest. According to a statement from the Supreme Court, the nominee to an account is merely entrusted with collecting the amount for the benefit of the legal heirs. Previously, the amount would be given directly to the nominee regardless of whether or not the nominee is the legal heir. The rule change is likely to reduce the amount of litigation with regards to beneficiary ownership. While the people of Andhra Pradesh are stealing the headlines with their demand for a special category which the Central Government is yet to give a clear answer on, North East states have a reason to rejoice following the latest special scheme rolled out by the Government of India. As per a source, the Government of India has set aside Rs.3,000 crore for the North East states and aid them with this special scheme. The scheme will particularly help the MSME as they are the core of industrialization in the North East and are the ones creating the most employment opportunities in this part of the country. The scheme will offer this section of the population transport subsidy, railway subsidy, reimbursement for income tax and will also contribute towards the PF contribution of the individuals from the MSME. Following the set back following the drop in interest rates for most savings schemes, the Government of India has now decided to close the subscription of 8% savings bonds on January 2, 2018. According to a source, the bond opened for subscription on 21 April 2003, and had a fixed tenure of 6 years, and there was no upper limit for investment, luring retail investors across the country to invest in the scheme. However, the curtains of this scheme have come to a close on January 2, 2018, following an announcement from the Ministry of Finance. According to them, the Government of India (GoI) announced here today that 8% GOI Savings (Taxable) Bonds, 2003 shall cease for subscription with effect from the close of banking business on January 2, 2018. In what looks like the Modi Government has softened its stance towards the Aadhaar card linking debacle, sources claim that the Government has now extended the deadline to March 31, 2018. According to a source, the current deadline for linking Aadhaar card with bank accounts, PAN, insurance policies, small savings schemes like PPF and NSC, mutual fund investments and social security schemes is December 31, 2017. And the deadline for Aadhaar-Mobile SIM linking is February 6 next year. On October 25, the centre had told the apex court that it was willing to extend the deadline for linking Aadhaar to various schemes to March 31, 2018, but only for those who were "willing to enrol for Aadhaar", not those who had already signed up. According to an EPFO or Employees' Provident Fund Organisation senior official, the Indian government is in discussion with Brazil to get EPFO social security cover available for workers from India going to work there. The talks are in their final stage, and a proposal of approval for bilateral agreement between India-Brazil which was pending approval from Union Cabinet, was most likely to be passed soon. Once the bilateral agreement is signed, Brazil will become the nineteenth country where Indians will be able to opt out of social security schemes run in those countries and choose to use the service provided by EPFO. India has such agreements operational with Portugal, Japan, Australia, Canada, Austria, Norway, Czech Republic, Sweden, Finland, Hungary, the Netherlands, Grand Duchy of Luxembourg, Republic of Korea, Denmark, France, Switzerland, Germany, and Belgium. Indian workers at any of these 18 countries can choose to avoid the host country's schemes for social security. They just need to visit the EPFO web portal and get a CoC (certificate of coverage). This scheme will be of great help to workers going abroad for a short span. Opting for the CoC also ensures money doesn’t get blocked in their host country for long. The centre has drawn up a plan of Rs.1.2 lakh crore to provide all-inclusive social security cover for the poorest one-fifth of Indian population, as a part of an ambitious welfare scheme which is being envisaged for all citizens. This programme divides the population in 3 categories - 20% of the poorest who will get government payouts; those subscribing on their own, and workers in the formal sector who will have to ascribe a fixed percentage of their income toward this scheme. The Ministry of Labour has drafted the proposal and will soon be sending it to the Ministry of Finance for funding and vetting, with the intention of rolling the scheme out in 2018. This scheme will be compulsory for all. The scheme will consist of 2 parts. The first of these comprises mandatory pension, insurance (disability and death both) and maternity cover, and the optional second comprises of unemployment and medical coverage. The new scheme will be a part of one of the 4 codes that the Ministry of Labour is finalising, the code of social security. It will comprise of 17 existing legislation items governing coverage of social security in India. 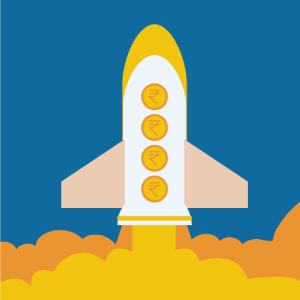 Higher returns on equity investments has led EPFO to consider giving its subscribers option to assign higher proportion of their PF money for this class of asset. If the proposal is passed, 4.5 crore EPFO subscribers will get higher returns on their PF funds in the present regime of declining rate of interest as seen in all schemes. However, this proposal would require major alterations in the EPFO investment pattern. Finance ministry directed EPFO in 2015 to invest 5% to 15% of its progressive income in equities. EPFO began the first year by investing 5% into ETFs. It was raised to 10% and 15% respectively in subsequent years. Currently, the remaining 85% corpus is invested in debt instruments such as government securities. The total return on EPFO’s investment in ETFs was 13.72% till May in the 2 years since it started. EPFO announced interest payouts of 8.75%, 8.8%, 8.65% in FY15, FY16 and FY17 respectively. Investment in ETFs in FY16 was Rs.6,577 crore, raised to Rs.14,982 crore in FY17. In FY18, the investment amount in ETFs has been increased to almost Rs.20,000 crore. Ever since the Government decided to directly transfer money for subsidies of many saving schemes to the people, the Government has managed to save Rs.65,000 crore with the direct benefit transfer. Union Human Resource Minister Prakash Javadekar today said that with one third achievement in DBT, the government has been able to save Rs 65,000 crore, imagine how much money government will save when we will achieve DBT completely. He added by saying that even in my ministry, fake scholarship applications siphoned off money meant for the needy students. Now, such leakages are fixed. The Centre is also linking Aadhar card with licence numbers to make the system more effective and dynamic. He ended on a light note saying that, we have successfully implemented some 3,000 corrective measures, but another 5,000 are still pending. We are going to implement it in coming days. A sigh of relief for all employees across the country, the Government of India has now passed a bill enabling gratuity upto Rs.20 lakh to be completely tax-free. In a statement, an executive said that The Union Cabinet chaired by Prime Minister Narendra Modi has given its approval to introduction of the Payment of Gratuity (Amendment) Bill, 2017, in Parliament. They also said that the amendment will put the maximum limit of gratuity of employees of the private sector as well as public undertakings and autonomous organisations under the government who are not covered under Central Civil Services (Pension) Rules, at par with central government employees, which is Rs 20 lakh. As per sources, the current upper ceiling on gratuity under the Act is Rs 10 lakh. The provisions for central government employees under Central Civil Services (Pension) Rules, 1972, with regard to gratuity are also similar. The government has drafted a proposal to increase the amount of pension in 3 key social pension schemes - old-age pension, widow pension and disability pension. However, the implementation of this proposal will only be possible if the Centre gains enough revenue post GST regime. Estimates on restructuring National Social Assistance Programme show that the government will incur an additional expense between Rs.10,000 crore and Rs.12,000 crore over the current Rs.9,500 crore annual budget. The ministry will also try to restructure the funding pattern by asking the states to chip in at least 40% of the cost. Currently, the Centre bears the entire cost. The changes proposed to the 3 pension schemes are as follows: The ministry seeks to raise old-age pension from the current Rs.200 to Rs.500, with the Centre paying Rs.300 and the states paying Rs.200. The ministry would like to institute widow pension for women aged between 18 to 39 years, while also awarding a one-time remarriage grant. The ministry would like to change disability pension eligibility criteria from 18 years to 0 years, and from people with 80% disability to those with 40% disability. The amount will be increased to Rs.500 from the current Rs.300. On it’s third year anniversary, the Prime Minister of India, Narendra Modi, said he was overwhelmed with the success of Jan Dhan accounts and how it has inspired inspirational stories. According to the PM, at least 30 crore new families have got Jan Dhan accounts in which almost Rs.65,000 crore have been deposited. Banks have conducted surveys about how the common man has benefitted from Jan Dhan Yojna as also from insurance schemes like Pradhan Mantri Jeevan Jyoti Bima Yojana and Pradhan Mantri Suraksha Bima Yojana, from RuPay Card and Pradhan Mantri Mudra Yojna and these surveys have thrown up "inspiring stories". The Prime Minister added by saying that in a way, this is a saving for the poor, this is his empowerment for the future. And those who opened their accounts under the Pradhan Mantri Jan Dhan Yojana, have received the benefit of insurance as well. Now standing at a subscriber base of 60 lakh, the PFRDA hopes that the Atal Pension Yojana will gain a subscriber base of 1 crore by March 2018. In a statement, the PFRDA said that We hope that the APY subscriber base will cross the 1-crore-mark from around 60 lakh now. We expect both the subscriber base as well as the investment corpus of NPS to go up this year building on the growth they had registered last fiscal year. According to a study, the subscriber base of the National Pension Scheme (NPS) is likely to rise around 27 percent whereas its investment corpus may grow 47 percent this year. The scheme has already registered a 100 percent growth in terms of subscribers in the past fiscal year and its assets under management stands at Rs.3,000 crore now. On June 30, 2017, the government cut interest rates on savings schemes, PPF, and NSC by 10 bps. According to a report released by the Department of Economic Affairs, the interest rate on savings account will remain 4% whereas the interest rate on Fixed Deposits with a minimum 5 year tenure will be lowered by 0.1% compounded on a quarterly basis. The same is applicable for PPF and NSC. Interest rates on Sukanya Samriddhi Account Scheme and Kisan Vikas Patra scheme are also cut by 10 bps. The revised rates will be applicable in the second quarter of FY 2017-18.